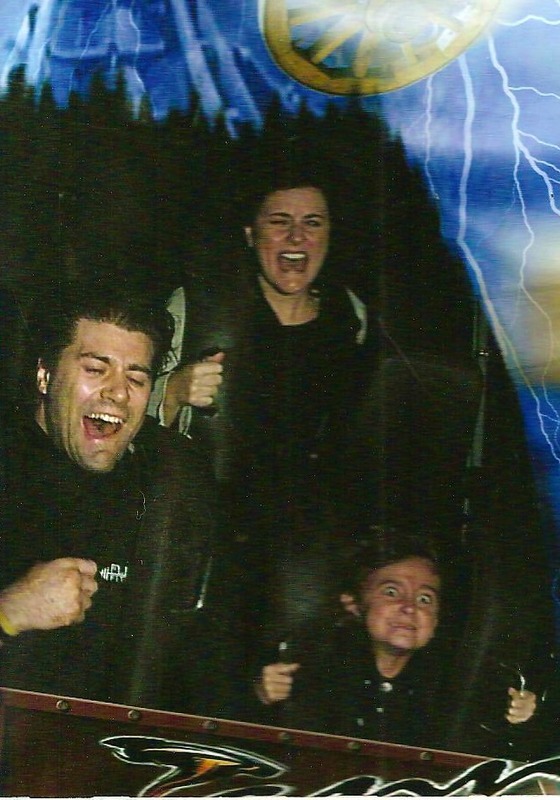 I love *real* roller coasters like the Tennessee Tornado at Dollywood, but not the entrepreneurial kind. Yuck. You know that crazy roller coaster of entrepreneurial income? The one where you feel like a millionaire rock star one month and a pauper the next? The one when you work like a wild person and make a ton of cash (hopefully) but then when you don’t (or can’t) work you have to start scraping for coins in the couch cushions, at the bottom of your purse, and in the seats of the car? Roller coasters I LOVE, but THAT one, well it’s long time to get off. The thing is it doesn’t matter how long or short of a time you’ve been in business. It doesn’t matter at what point of income you feel like a prince(ss) or a pauper. We all know the feeling. And if we’re being honest, it happens far too often. What happens in your business on the days you don’t work? Or if you’re in a day job, and you take off? Maybe the kids are sick, or you’re feeling under the weather yourself (you knew you shouldn’t have gone to that hole-in-the-wall restaurant! ), or maybe you get diagnosed with something serious and have to take off for more than just a couple days. What happens with your business then? You likely don’t make money, that’s what. If you’ve ever struggled through that, you’ll certainly agree that feeling like you *have* to work with clients, be on stage, or show up “or else” is not a fun way to live. I learned that hard lesson last year when I had to take almost 6 months off work throughout the year because of serious health challenges. And I found out the hard way I still had some work to do. Well, I’ve found the answer. Actually, I’ve found 21 powerful yet simple ways to create passive income streams so on those days when you can’t (or don’t want to!) show up to work, you can still bring in cash! AND the great thing is because of my relationship I’ve built with David Perdew, the founder of NAMS where he’s had me keynote speak twice and teach on his faculty time and again, he’s given me a “super secret I’m the only one doing this right now” coupon code so you can get access to it all – valued at almost $200 – for FREE! Just use coupon code: FSPassive. I’ve worked hard this year to develop more passive income streams, but after diving deep into the content David Perdew and my friend Nicole Dean, another faculty member at NAMS, have created and that you can get for FREE but only through tomorrow, is that I still have a long way to go and much more passive income to gain! Today, right now: I’m throwing it down. Let’s build our passive income streams together! Yes I know it’s the holidays. Yes I know it’s a busy time. And that’s exactly WHY you should seriously consider joining me in this challenge. When you’re busy and want to be doing fun things away from your business or want to put your head down and write your next book or create your next speech, you still want (and need) money coming in. That’s what passive income will do for you. So together – let’s get it going. I’ll be posting my progress here on my blog and I’ve even made a dedicated Facebook group to support anyone who wants to join in the challenge with me. Be sure to pick up the Found Money passive income workshop to get some ideas and get started. The original price of $197 is a great investment into your business but as I said, I managed to clinch a great deal for you as my valued customer. For a limited time, you can have it at zero cost but hurry. Go to this link then download and devour everything! This offer goes away for good on December 8th. If you miss this one, you are likely to find yourself in exactly the same position as you are now. Let’s change that and make money while we don’t work! Add your comment below to let me know you’re in and join me on the Passive Income Challenge for Speakers, Authors, Consultants & Entrepreneurs Facebook group to keep accountable and bring in more passive income! I am in! I have an online course and other products but am interested in creating more streams! Thanks Felicia! Priming the pump and getting the flow to happen sounds like an excellent process to do with a collaborative group. I’m ready to receive! Okay Felicia, I’m in. I’m not sure how I’m going to fit this in, but I need to. I’m in, Felicia. This is something I’m building into my 2014 plan!